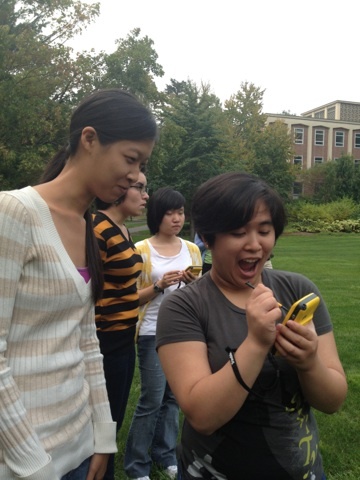 If you have a summer research project, internship, or job that might require you collect GPS data, sign up for the Spatial Analysis Lab GPS Workshop to learn how to use GPS units, optimize the accuracy of your GPS data, and process the data into a finished map product! We’ll teach you how to use our scientific grade Trimble Juno units in the workshop, but the skills and concepts discussed are also applicable to other GPS systems, including Garmin GPS units and smartphone apps. 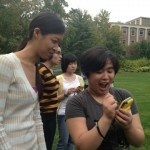 The Summer GPS Workshop will discuss data collection planning with emphasis on operating the GPS units. Be prepared to go outside – we will collect a sample dataset. We will then process the logged data into a shapefile (map data file that can be visualized in GIS software) and make a map of the GPS data points in ArcGIS. No experience with GPS units or mapping is necessary! All workshops will be held in the Smith College Spatial Analysis Lab (Room 104 in Sabin Reed Hall). You! If you’re interested in attending, fill out the sign-up form below! This allows us to make sure that we are prepared for all attendees.